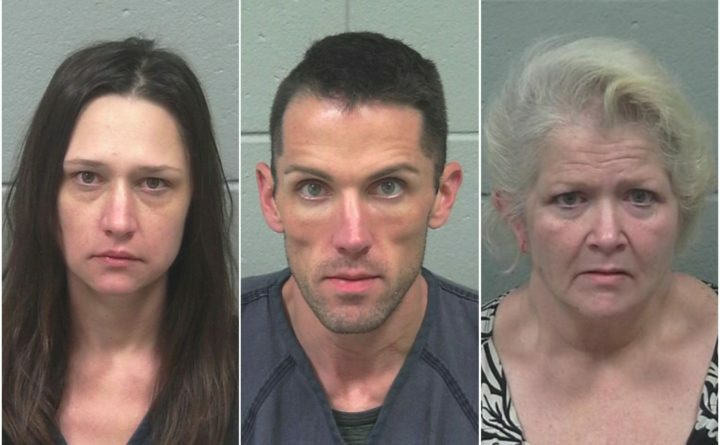 Three people are facing myriad charges in connection with thefts earlier this week from a Bangor fitness center, according to police. Bradford Chesley, 38, of Dixmont and Amy Nadeau, 34, of Orrington were arrested Wednesday in connection with a break-in at an Odlin Road gym. Chelsey was charged with theft, aggravated criminal mischief, aggravated forgery, drug possession and violation of probation out of a Florida court, according to a release issued Friday. Nadeau was charged with receiving stolen property, forgery and drug possession, according to Bangor police. A third person, Rebecca Mountain, 54, of Bangor was summoned on three misdemeanor charges — forgery, theft by deception and receiving stolen property. Chesley and Nadeau, who remained Friday night at the Penobscot County Jail unable to post bail, allegedly broke into the gym earlier this month, damaged property and equipment inside, and made off with cash and checks, according to the release. The pair and Mountain allegedly forged the checks and tried to cash them at banks in Bangor. Information about the amount of money stolen and the amount of damage done to the facility was not released. If convicted, Chesley and Nadeau each face up to five years in prison on the most serious charges and fines of up to $5,000. They also could be ordered to pay restitution. Mountain faces up to a year in jail and a fine of up to $2,000 on the most serious charge.